Anyone who cares to hear us get our critiquey hats on, click that thar white triangle! What'd you guys think of the first challenge? Did you agree with the judges? Love it, well done and I love hearing other people's ideas! I watched all the videos and the judging, but no one in my "real" life does so I haven't gotten to chat with anyone about it. Looking forward to more! It was super fun hearing your opinions on the pieces, I hope you guys do this again! I agreed with many of the things you both said: I thought Natalie's striped sweater was the most I WANT TO WEAR THAT of them all, that Jeanette's was beautiful and stylish as well, and that Lauren's dress was underappreciated by the judges. The concept behind Rachel's Evolution shawl was one of my favorites and I think it would've been fabulous in a solid or gradient yarn. Terri's Two Sides sweater was great as an art piece but I'd like to have seen just the pink side (sans flowers) as an item to actually wear. I do (respectfully!) disagree about 2 things. Talitha's design was the one I was most excited about in the progress videos and I absolutely love the finished piece. I don't think it's old-looking at all. I think the t-shirt shape with the cut-outs and leather dangly bits gives it quite a bit of an edgy feel, especially with the sleeves. I'm very happy that she won. And the second is that I really hated the cat sweater. Personally, the 'hello kitty' aesthetic never made sense to me and I'm biased because with my body type, if I wore a cat sweater I would not look like a young trendy hipster, I'd look like a grandma who got lost on her way to the yarn shop. I also thought it was a bit boring, even just the name "cat sweater" but again, I could entirely have missed the trendy point. At some point it totally just becomes about personal style- the skill and craftsmanship are there either way. I'd get lost in a boxy tee but other people look great in 'em. 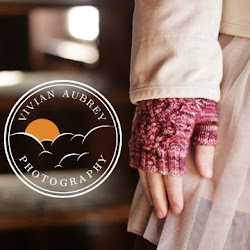 I do love the detailing though and it would be easy to lengthen it and add shaping. (I actually wouldn't wear the cat sweater either because I'm allergic and it's just too ironic, but I like the silhouette of it! Maybe with a different animal, haha.) I think both patterns will do great if they release them. "Terri's Two Sides sweater was great as an art piece but I'd like to have seen just the pink side (sans flowers) as an item to actually wear." Thanks for the re-cap..I love to hear what you all think. I have never sold a pattern, I have label and small design house with my daughter," Carasan" Designs LLC.It had been based in Brooklyn, NY up until about a year and a half ago. Now I am working from VA. working on a new space down here. The commute for 12 years was killing me! And my daughter moved out to Portland, Or. So...anyway, hearing what you have to say..hard as it is, is good! We want to go into selling Carasan's designs as patterns, whole collections for each season. I really need to have this input! Now, as to my design. I am used to designing for the runway and fashion editorials. I design for clients that come to my showroom and store buyers, not knitters. So I was knitting with that in mind. I knew that it would be hard for a knitter to knit that sweater, so I had designed at least 4 other sweaters from that one crazy piece. One..in all cable, one in all of the ribbing and bobbles, and 2 cardigans. 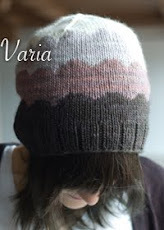 One cabled with stripes and one all in ribbing. So, really I did get it...I maybe should have just gone with one of those and left the one I did on my pad! LOL If you want to see the cable cardigan in is on forum page: Down-time Projects. I really hope that you all like this new challenge more. I did 2 sweaters, one over the other. As I said...thanks for all you had to say. BTW: The color yarn was not red, but coral. And it was not black, but a dark gray.. Lauren and I used the same yarn, in the same color. And I LOVE here dress! I would wear it in black and a bit longer! They just did not get her or who she designs for.. And I too thought that Jen was going to win. OMG yes, I would totally live in Natalie's. Jennette's too, but the cardigans I tend to buy and wear on a daily basis are very similar to Natalie's- nice simple shape, kinda thin, V neck, stockinette. You guys are hilarious. I tended to agree on all counts with what you said—especially that the dress was underappreciated. I thought it was quite lovely and would have worked in a darker color on a girl in her late 20s early 30s. And while I loved the winning tee, I also felt its boxiness made it feel older. The whole thing had me a bit worried for later entries because if the aesthetic is "older" across the board than Lauren might suffer unfairly. Thank you! Well I'm going to keep being myself, don't worry :) They brought on so many younger designers so I was confused. There are so many younger knitters now. I hope they open their minds in future judging, we'll see! oh my... this totally made my day! Thanks ladies! I would totally wear the Michigan sweater, and I would rock it. With long blonde braids, Kirsten-style! Oh man it's totally a Kirsten sweater! !